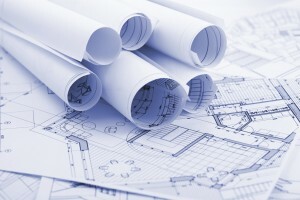 Establishing a successful project plan is a key component of the construction process. There are numerous factors that must be considered by the contractor to ensure that the project is completed timely and within budget. Establishing parameters and working in conjunction with the overall sequence of construction activities will result in minimal damages. If a contractor is faced with the intimidating task of having to go about this process by himself, he can always appoint a construction consultant as an assistant. This helps relieve some of the load that has been placed on him and also guarantees that everything is running relatively smoothly. During the midst of creating a project plan, the owner, engineer, architect, and contractor must assign duties to all construction parties involved. An organized structure will be a solid foundation for all parties to lean on if a problem were to arise. Furthermore, planning correctly will also minimize the risk of claims being brought up during the project. Construction & turnaround services are reputable companies that come in and relatively take over the field of operations. Essentially, they’re used almost as a last resort when companies are bleeding money over a short period of time. If a project is suffering from continuous errors in scheduling and work progress, turnaround services can help bridge the gap. Project planning is a laborious task for the management team, but it’s also one of the most vital aspects of the entire process. Solid leadership, meticulous organizational skills, and proper education will result in a progressive motion that will carry the project the rest of the way. Bio: Lyle Charles Consulting is run by Lyle Charles, a seasoned executive, coach, and mediator. His wealth of knowledge and experience has made him one of the most trusted experts in the construction industry.